It is an advanced decoration technique used in plastic parts. 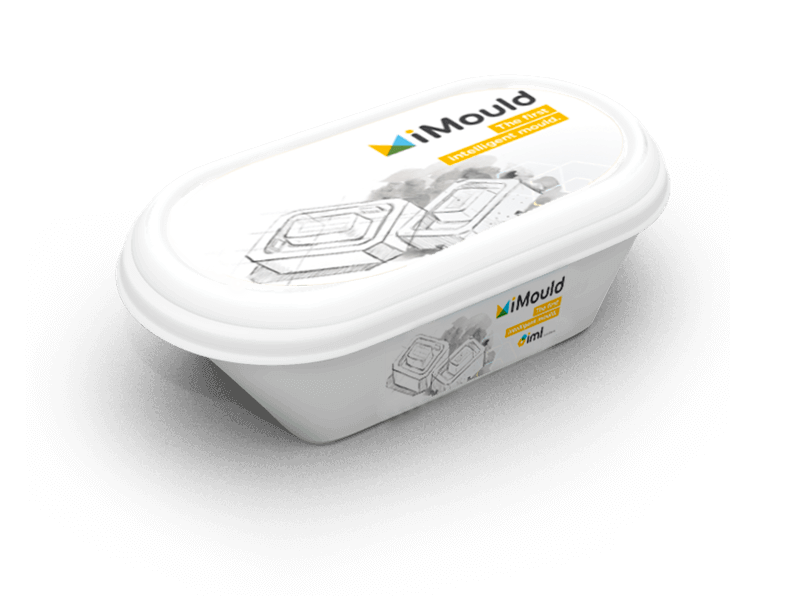 The IML process consists in placing a label, which is compatible with the plastic resin used to produce the final part, inside the mold previuos to the injection of the melted resin. When it hardens, the part melts with the label becoming an only body part, a one-material container 100% recyclable, indelible and without stickers. Perfect for food packaging: less manipulation of parts. Higher quality in the impression. Indelible labels, with a higher quality of impression than any other decoration method. Pieces are already decorated when manufactured. All is part of the same manufacturing process. Our systems allow reaching higher performances, diminishing manufacturing costs.